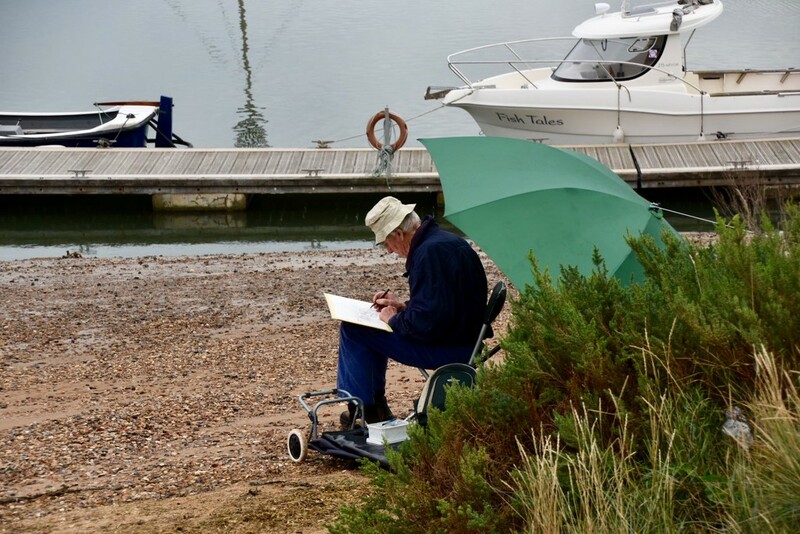 Walking at Wells-Next-The-Sea, saw this gentleman deep in concentration, drawing the boats. Lovely candid shot, were his pictures Good? Lovely candid creating intrigue as to what his painting was like !!! @hermann @quietpurplehaze @30pics4jackiesdiamond @gijsje @beryl @Dawn Thank you. From a distance his sketching looked quite old but I didn’t go closer to have a look.